Speaking on air strikes carried out by Indian Air Force (IAF) across the Line of Control (LoC) in Pakistan, Air Chief Marshal Birender Singh Dhanoa on Monday said that the IAF had hit the target in Balakot, otherwise why would Pakistan Prime Minister have responded. "If we dropped bombs in the jungles, then why would he respond? ", said Dhanoa. He further added saying, "Death toll depends on the number of people present in the target, IAF doesn't count the number of dead", said the IAF chief. "IAF is not in a position to clarify the number of casualties. The government will clarify that. We don't count human casualties, we count what targets we have hit or not", clarified Dhanoa. 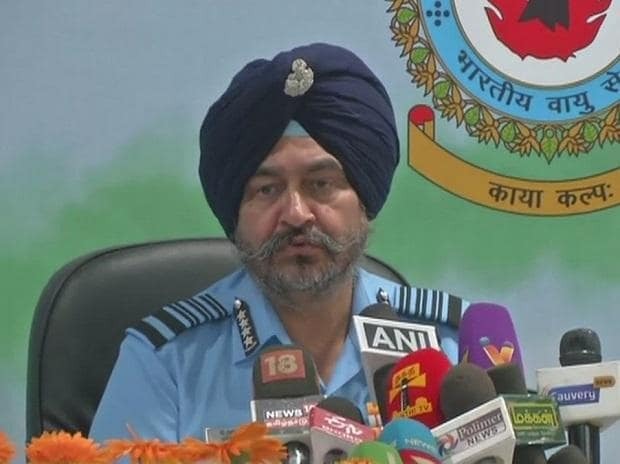 Air Chief Marshal Dhanoa said that MiG21 used in shooting down Pakistan F-16 is an upgraded aircraft with advanced weapons system and the casualty figure in air strike on Balakot camp will be given by the government. When asked when IAF Wing Commander Abhinandan Varthaman will be back his fighter jet cockpit, IAF chief Dhanoa said, "Whether he (Wing Commander Abhinandan) flies or not depends on his medical fitness. That's why post-ejection, he has undergone a medical check. Whatever treatment required, will be given. Once we get his medical fitness, he will get into fighter cockpit," he said. All required treatment will be given to Wing Commander Abhinandan, Dhanoa said.